As difficult as it is to find any important stories not related to the health care decision at the moment, one actually appeared from Reuters late Friday. It seems that despite ending one war and drawing down from another, the defense department cannot endure any budgetary cuts at the moment. 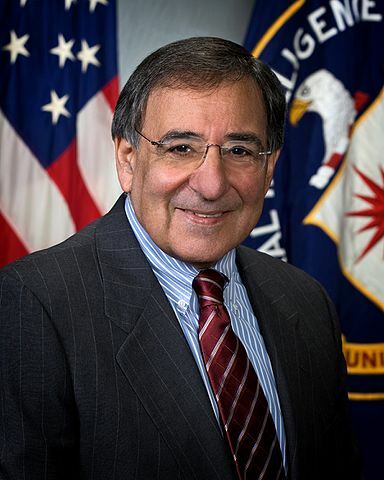 I recently commented on the marketing of defense/war in the interests of maintaining such a large budget so I read the article looking for a legitimate reason not to enact any cuts, particularly since the person asking for the block was Defense Secretary Leon Panetta. Surely a member of the allegedly hard-lined liberal Obama administration would have a sensible reason not to cut military spending at a time when it should reasonably be cut. Industry leaders (defense contractors) who met with Panetta this week warned that the Pentagon could face billions of dollars in contract termination fees and other costs when the new cuts go into force next year. Panetta said the industry executives shared many of the Pentagons fears about the cuts. “They’re very concerned about the impact that it will have on their companies and on their employees,” Panetta told the news conference. In other words, the defense contractors have the officials in the Defense Department (regardless of political party I would add) by their family jewels and they are, in a not-so-veiled way, threatening to cause a firestorm days before an election if they do not get their way. No doubt part of this situation is the timing of it all but it is hard to believe no one, particularly contractor lobbyists, saw it playing out in this fashion. Let’s be clear. Jobs and livelihoods are no doubt on the line here and that should be recognized. However, some other aspects should also be noted. Defense is a business in many aspects (certainly the private contracting element) and, in the case of the United States, it is an extremely big business. And just like any other business, when sales go down/wars come to an end, cuts should be expected and actions will be taken accordingly. This is obviously a very easy concept to understand for many considering the recent years of financial crisis and economic gloom in the U.S. Peace should be seen as a time of recession for the defense department and anyone collecting a paycheck because of its existence. It may hurt many defense contractors and those involved but it is part of life and, in many ways, the writing should have been on the wall for some time. Yet it wasn’t and clearly the contractors have no intention of settling for such cuts. And if this means essentially threatening the current administration’s chances at reelection in November, so be it. But either way, regardless of what party is elected and how things may play out in this situation the people with the money will get their way and will have a big role in who wins this election. Fortune Magazine published its very in-depth report on the Fast and Furious scandal and the details put a very different complexion on the program and how it has been played out in the media. The article is long and deserves the time of anyone interested in the debate but there are some noteworthy things that certainly should be brought to the attention of all. But the ultimate irony is this: Republicans who support the National Rifle Association and its attempts to weaken gun laws are lambasting ATF agents for not seizing enough weapons—ones that, in this case, prosecutors deemed to be legal. So first off, anyone can buy as many weapons as they have the funds for and then legally resell them with no repercussions. Clearly, if you are law enforcement trying to stop guns from getting into the hands of the drug cartels of Mexico, this is a colossal problem. And asking the federal government, with lawmakers so loyal to the NRA and ardent fighters for no restrictions on weapons purchases, to change the law is out of the question. They were seven agents pursuing more than a dozen cases, of which Fast and Furious was just one. The key problem pointed out in this article was not the ATF or necessarily their tactics but the wall these agents hit when they tried to go up the food chain of law enforcement to prosecute. They had plenty of evidence but were blocked because of the reaction attorney’s had toward the lax gun laws in Arizona. After examining one suspect’s garbage, agents learned he was on food stamps yet had plunked down more than $300,000 for 476 firearms in six months. Voth asked if the ATF could arrest him for fraudulently accepting public assistance when he was spending such huge sums. Prosecutor Hurley said no. The picture that the media has painted surrounding the Fast and Furious scandal is certainly not the reality of the situation. There are some aspects of this debate we will just have to accept. Was the result of this program awful? Certainly. Was it the fault of the ATF for not prosecuting the people they were tracking? Doesn’t appear to be true. Is this program and the problems associated with it more an effect of little to no gun laws and prosecutors unwilling to bring those cases because of the repercussions? Absolutely. More information regarding this situation will slowly make its way out with time but one thing is for sure now: this scandal has been much more political than what it seems and has been driven against a Democratic administration by an alleged “liberal” media. I fail to see why such a friendly media would do that to a supposed friend and, of course, this politically driven scandal over Fast and Furious ignores the bigger story of this whole situation. Positive ratings of current care, for their part, peak among senior citizens, at 86 percent – perhaps ironically, given their enrollment in the government-run Medicare program. Current care ratings also are higher, by 15 points, among people with $50,000-plus incomes, vs. their lower-income counterparts. And strongly favorable ratings of current care spike, in particular, among people in $100,000-plus households. In other words, people who have easier access to health care compared to the people who don’t, even if that health care is government backed, like it. This is related to an interesting point if you have been watching much of this polling data recently. Something has been strangely left out of most of the polls. Most of these polls seem to avoid asking or reporting how many people thought the ACA didn’t go far enough. Slight majorities may be against the reform but this does not take into account the number of people against the reform because they wanted a more universal system, such as Canada or Germany. 85 percent said insurance companies should cover people with pre-existing conditions and nearly seven in ten supported children under 26 staying on their parents’ health plan. The health-care law has stirred deep passions on both sides of the partisan divide, including among some liberals who think it didn’t go far enough. No polling data included as to what percentage believe this. Not exactly surprising the Murdoch-owned WSJ might gloss over this part of the debate. One poll that did include this data states, “27 percent said it didn’t go far enough.” What people want to assume about what we should do on health care based on this information is up to them. But one thing seems to be clear and that is the media doesn’t do enough to point this fact out in the debate and it is certainly possible what the majority wants is being drowned out of the conversation. And if the majority wanted something, we would of course get it, right?…Right? Probably not. Take the Buffet Rule for instance. Gallup reported a 60% majority favored it while CNN reported 72% in favor. Despite these large majorities, the rule died because we live in a democra$y and that’s how democra$y work$. Rule of the money…excuse me, many. Maybe it’s many with money. I’m confused. The point is we’ve seen a lot of polling data on health care but the media has not been completely honest with us. If they were, we might figure out the majority wants something the powerful interests at the top don’t and that is simply the same access to the same health care they have and enjoy (and approve of as noted above). Even if it’s government backed like Medicare. The head of the United States’ Africa Command is now stating there are three terrorist organizations in Northern Africa possibly banding together to supply each other with more arms and funds to further their cause. The danger here is obvious but it looks like it might be unstoppable to impede the growth of these organizations if we factor in a few things we know and look at the big picture. The reality, however, may be that the real driving forces behind Boko Haram are inequality and poverty in northern Nigeria; a historic grudge between the Nigerian north and south; and an underequipped and corrupt police force. These issues may be just as important as any links between African jihadists and al-Qaeda. There is very little doubt inequality and poverty play a big role in people turning to extreme measures to turn their lives around in some way, even if that means joining a terrorist organization. In addition to that, we also know programs focused on improving living and working conditions have an effect on reducing the number of terrorists around the world (I mentioned this here). So clearly the remedy for staving off the growth of these groups is through some type of development aid to improve the living conditions in these countries. And if that aid were to not increase or were it to be cut, we should expect a negative result. But surely the industrialized world isn’t silly enough to cut aid and knowingly push more people into the ranks of terrorist groups, is it? Well, it is. As reported just a few days prior by the BBC, the Eurozone cut its aid to poor countries in the 2010/2011 fiscal year by 1.5% and with the ongoing financial crisis we should probably expect bigger cuts moving forward. But since it is a U.S. official pointing out the problem, maybe we could count on an American increase in foreign aid since the U.S. lags so far behind most of Europe in development assistance. I’ll allow a second for the laughter to subside. This isn’t to suggest a doubling of U.S. aid would solve all the problems of the world and stop all terrorism (and if you’ll notice from the chart linked above, even if the U.S. tripled its aid it would still be below the UN development target). But it is worth pointing out the U.S. clearly sees the problem growing judging from official statements and we can inevitably expect things to get worse. We also know how to go about reducing the problem. But the likelihood of that happening is probably around the same likelihood these terrorist groups will give up their arms and ignore their living conditions in order to live in peace. Our nation’s violation of human rights…began after the terrorist attacks of Sept. 11, 2001, and has been sanctioned and escalated by bipartisan executive and legislative actions, without dissent from the general public. As a result, our country can no longer speak with moral authority on these critical issues. A couple of things should be noted here. One is that this has clearly been a bipartisan effort since Democrats had the chance to change much of this after the ’08 election and chose to do virtually nothing. In fact, as Carter argues, the violations have even been expanded in some ways with the use of drone strikes and the ridiculous declaration that any man of a certain age killed by one is a terrorist. Another is we long ago lost our moral authority on any of these issues around the world and only anger people when our government officials try to throw stones at others behaving badly in foreign affairs, for instance Russia arming Assad in Syria. But what should be the most eye-opening phrase from Carter is “without dissent from the general public.” Now, I’m assuming Carter’s definition of this does not mean what it seems on the surface. Of course, there has been dissent in the American populace as to the human rights violations by the U.S. government since the War on Terror began and I would take it for granted Carter knows this. What I assume he means is there has been no dissent shown by voters through punishing elected officials at the polls. We have continued to vote for many of the same people who supported these programs and have done nothing to pressure them to change the outcome. In this sense, he is very correct and for people on the outside of the United States looking in, they have seen very little dissent. We have seen other elected governments get punished because of their abhorrent positions on the War on Terror, Spain being one of the most famous. The question is, will this ever happen in America in a way where the dissent is truly visible? Unfortunately, it seems doubtful. Andrew Cohen – The Real Scandal of Fast and Furious – The Atlantic. House Republicans have resorted to partisan finger-pointing over 3 percent of the guns crossing the border — and ignored the other 97 percent. Let’s face reality here. If so many weapons were not being smuggled out of the United States so easily because of our nearly non-existent gun laws, Fast and Furious would have never existed as a program in the first place. There would have been no reason to even think of ways to reduce the power of the drug cartels if we did not arm them so heavily through lack of regulation and proper checking of suspicious sales. And if you watch the Colbert clip included in the article and here, you’ll see an almost laughable claim by the right. Some pundits allege Fast and Furious is just an excuse by the left to regulate guns. Colbert debunks that in his own hilarious way while also mentioning the little recognized fact the program actually started under a previous administration just under a different name. But let’s add two important points to address the ridiculousness of this claim. One is the simple fact of cause and effect I already mentioned. If there wasn’t a problem to begin with, extremely awful policy solutions like Fast and Furious would not have been conjured, much less implemented. But I do have to admit trying to spin this into some type of conspiracy theory is a great way to avoid the real problem. The second point is the obvious scale of the problem. Let’s look at what we know. Fast and Furious allowed roughly 2,000 weapons to cross the border. However, the Mexican authorities have seized nearly 70,000 weapons traced back to the United States around the same time period. How many they haven’t seized and are still in circulation is probably anyone’s guess but it’s safe to assume it’s larger than the number captured. Focusing only on Fast and Furious is the equivalent of a watching a pack of hungry lions running at you in the wild and being more concerned about a mosquito that just landed on your arm. But then again it’s an election year and we do have our priorities. Lawmakers passed 420 symbolic or ceremonial resolutions in the 2012 regular session — five times the number of bills Gov. Steve Beshear signed into law this year. To some extent, it is reminiscent of the old quote about watching laws and sausages being made. But there is a distinction that should be noted. There are no laws actually being made when these resolutions are being created and then recognized on the floor. One could make the argument these are legislative measures but let’s face it. No one is thinking of this when they think about government and the creation of laws. The reason this touched a nerve with me is that I served as an intern in the 2011 legislative session so I got a very close look at how the floor proceedings went. Another element from the article that the author includes but does not elaborate on is the recognition of guests in the gallery. Any time a guest of any importance to a representative was present they were generally recognized. All-in-all, you could pretty much skip the first hour of every session roughly without missing any actual business, until they decided to change the rules (at least for the second part of that session) and made the recognitions at the end of the sessions instead of the beginning. Sometimes the resolutions were very interesting and heartwarming when honoring some true heroes, for instance I believe at least one Medal of Honor winner was recognized with a telling of some of his story. It’s hard not to be entranced a bit by some of these moments. They are very dramatic and obviously we are drawn to that kind of heroics. But for every one of those types of honors dealt out, there was seemingly a dozen or more where you just kind of stood there and went, “WTF?! Shouldn’t you people be working?” The worst day I can remember was walking into a session that usually started at 1 p.m. I believe it was a little after 4 p.m. when they actually got to voting on any type of real legislation. I could be mistaken but I vaguely recall the session adjourning around 5 p.m. There were more days than I could count where the recognition of guests and the passing of resolutions took more time than the debating of any laws. Now, I will make a couple of points here that should be noted. The first is the importance of committees and the reality that most of the important debates on legislation happen there. Committees give elected officials the chance to specialize in certain areas and that is a certainly good thing. This means the floor sessions are not as in depth when it comes to debating the details of a typical bill and I see the efficiency in that structure. Politicians use such measures to build relationships with voters. The gestures sometimes make the local paper or spread through the community by word of mouth — part of the advantage of incumbency. And this makes perfect sense. Elected officials use their platform to occasionally toot their own horns by bestowing symbolic honors on the people that support them. Reasonable, yes, but when is it too much? The ultimate question here is if all voters were truly aware of the amount of time devoted to these symbolic gestures that do not contribute to what most of us view as making law, would they really pay off and continue to be conducted by legislators? In other words, if recognizing one person had a measurable effect of generating a positive reaction from ten people but a negative one from twenty, would this practice continue in its current form? The answer is likely no but the reality is more people would have to pay attention to government in the first place for that to truly matter. How Do We Decide Our Outrage About Civilian Casualties? At the State Department, spokeswoman Victoria Nuland laid the spilling of Syrian blood at Moscow’s feet. “On a daily basis, on an hourly basis, we are seeing Russian- and Soviet-made weaponry used against civilians in towns all across Syria,” she said. People are dying “on an hourly basis.” We should all be appalled at this and the idea a foreign country is contributing to the deaths in another through their arms policy is shameful to say the least. In fact, we as Americans should expect nothing less from our government. They should ask for policies that lessen the deaths of civilians in other countries and make sure the lives of so many are not ended so violently. And we actually have another case to look at as far as this outrage goes. There is another country in the world where arms policies are very negatively affecting the lives of civilians in a second country. And in this one, the casualty per hour estimate has been projected to be even higher than Syria’s of one per hour. In this country, it is estimated by the affected government to be one per half hour. In this country, just like Syria, the death toll is estimated to be over ten thousand in the past year. The killings in both are very brutal and innocent civilians are not safe in either. Since the cases are so similar, we would obviously expect similar responses from the U.S. government as they would be doing all they can to stop this type of violence against civilians. So, has the U.S. government condemned the country responsible for an arms policy that is killing someone every half hour in another country. Well, no. But why not? Who are these other countries and what is this other situation? The country negatively affected with the one per half hour death rate: Mexico. The country with the arms policy affecting Mexico: the United States. What’s the difference? It certainly doesn’t seem to be casualty count. If it were, the outrage would be the same from the U.S. government. A hypothetical State Department quote would look like the one on Syria with a few words changed: On a daily basis, on a half hourly basis, we are seeing American-made weaponry used against civilians in towns all across Mexico. Which leads to another potentially uncomfortable question for the U.S. government. Is the selective outrage because the U.S. economy profits from one and the Russian economy profits from the other? We are left to simply draw our own conclusions judging from the facts.